As you can see from the schedules below, you'll have a couple opportunities to watch these events this weekend. In fact, tomorrow, Saturday, the 18th, they will run almost back-to-back beginning at 4:00 pm. Last night saw the third of five City Council Candidate Forums put in the can, so to speak. As noted in Alan Blank's article in the Daily Pilot, HERE, a sparse crowd was in attendance at the event jointly hosted by the Costa Mesa Chamber of Commerce, Churm Media and the Daily Pilot. I estimated that there may have been 50 people in attendance if you count those arriving late and leaving early. As forums go, this one ran quite well. Steve Churm, publisher of OC Metro, moderated the proceedings, with Ann Stawicki, chairwoman of the Costa Mesa Chamber of Commerce and Tony Dodero, Director of News and Online for the Daily Pilot, pitching questions to the candidates. Ed Fawcett of The Chamber kept the time. The questions were excellent and the answers, for the most part, were crisp and to the point. The anticipated group attack on Katrina Foley by the OC GOP's favorite troika, Eric Bever, Jim Righeimer and Gary Monahan, didn't materialize except for a couple backhands directed her way by Bever and Monahan - which she deftly parried. Instead, when the format permitted each candidate to address one question to one other candidate, the troika took turns tossing softballs to each other. A skeptical guy might suspect this part was scripted. Other candidates directed more accusatory inquiries, primarily at Bever - with good reason. During the more structured portion a multi-part question was asked of each candidate about Banning Ranch and the 19th Street Bridge. One might have bet the farm that every one of them would renounce any idea of a bridge over the Santa Ana River at 19th Street - one would have lost! Eric Bever thought the bridge was a great idea. He told us he lives near that area and would like to be able to go either left or right on 19th Street! That's so typical of him - thinking out a problem only as far as it affects him directly, not considering the impact on the rest of the city. As might have been anticipated - which I did in my earlier post - most of the questions had a decidedly "business" slant to them. That's just fine with me - without thriving businesses our city would whither. All of the candidates are pro-business - big surprise - but only a few were able to articulate a plan to attract businesses to our city. On that question Gary Monahan carried the day, hands down. Here's my view of how the candidates did last night. Based on their accumulated performances at the three forums to date, and folding in with greater emphasis last night's performance, it appears to me that three candidates are beginning to open up some space between themselves and the other six. Those three are Katrina Foley, Jim Righeimer and Gary Monahan. Last night they focused primarily on positive issues, emphasizing working together. Eric Bever continues to muddle through, taking credit for things he didn't do and attempting to discredit Foley's accomplishments. He seemed quite uncomfortable on the dais - perhaps because he was ticked off at not being able to sit in his normal center seat (a complaint he actually voiced last night). It's very sad to see a grown man whine like a petulant child and appear to be treading water for dear life. Based on his performance tonight, he seems to be sinking - and that's just fine with me. He's proven to be unworthy of re-election. In my opinion, the remaining candidates have not gained much ground - with the possible exception of Chris Bunyan. In each forum his style and banter seems to have struck a chord with attendees and he's tightening up his message while still coming across as an approachable guy. Still, competing for a seat against two former mayors, a sitting councilwoman and a highly polished political operative for one of the three seats available is going to be a tough road for him. Bill Sneen, who has been working hard getting up to speed on municipal issues, came out with guns blazing, then seemed to run out of ammunition and wasn't able to follow up with strong answers on some very important issues. His management skills and leadership experience would be a welcome addition to our City Council, but, as with Bunyan, there's a tough road ahead. Lisa Reedy got a late start with her campaign and, while a dedicated community activist, seems not to have a full command of many issues in the city. Chris McEvoy continues to approach this campaign with a refreshing attitude. He seems eager and willing to challenge candidates twice his age with enthusiasm and candor. I find myself pulling for him to do well in the election. One very bright spot for me last night was the absence of the character known as Mr. U. Know-Who. He, apparently, decided to stay home and cheer for Obama in the presidential debate instead of coming down to City Hall. There was a welcome lack of gloom in the far right rear of the auditorium tonight. So, it's down hill to the election now. Two more forums are scheduled over the next two weeks. The first will be held next Wednesday evening, October 22nd at the Halecrest Community Center. The second, and final, forum will be held on Tuesday, October 28th at the Presbyterian Church of the Covenant. I'll write more about those later. DON'T M AKE ME LAUGH! Over at Hypocrite Central - the CM Press - the author of that blog posted an entry today that made me laugh out loud. The poor deluded guy used an image to illustrate the point of his commentary which shows the cover of a publication entitled, "The Rise Of Political Lying", which includes a cover image of a speaker with a long nose, ala Pinocchio. What a joke! This guy - in almost every post he publishes - fabricates, obfuscates and twists issues and events to meet his insidious objective of "purifying" our society. The thread of "if it ain't white, it ain't right" runs throughout his work and guides his actions, much to the detriment of the residents of this city. BUSINESS AND QUALITY OF LIFE QUESTIONS? 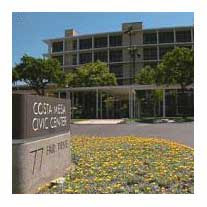 Tonight, at the Costa Mesa City Hall, all nine candidates for the three seats available this year will field questions posed by representatives of the Chamber of Commerce and the Daily Pilot - our local newspaper of record for nearly a century. I have no idea the nature of those questions, but I suspect they may have much to do with business in our city and, perhaps, crime and other quality of life issues. Certainly, the author of the CM Press - a man who refers to himself as "Mr. U. Know-Who" - will likely present himself as an observer, wearing his usual Gestapoesque black outfit and perch in "his" seat in the dimly-lit far, far right rear corner of the auditorium - how poetically perfect! I suspect he wants to keep an eye on his chosen troika of Righeimer, Bever and Monahan, just in case they might stray from the party line. I'm sure he will want to be there to cheer them on as they attack Katrina Foley, as he has done almost without letup since her election to the City Council four years ago. It's easy to speculate about what his problem is when it comes to Foley. She's clearly the smartest member of our current City Council and, although in the minority, doesn't hesitate to speak her view on every important issue. 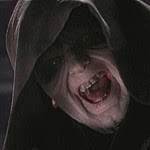 Even more important, she doesn't buy into Mr. U. Know-Who's mantra of manipulation unlike other members of the council. She's not willing to just stand idly by as the current majority attempts to turn our city into one in which children, seniors and ethnic minorities receive short shrift. A RACIST AND A SEXIST, TOO? I used to think Mr. U. Know-Who was just a racist - if it's possible to be JUST a racist - but I suspect he may be a sexist, too. He sure does seem to have trouble with women who are willing to take a stand on issues and present their views for the residents to consider. And, of course, he openly supports a small segment of our society where women are relegated into subservient roles. If you attend the meeting tonight, look for Mr. U. Know-Who... he's be the scowling presence lurking in the shadows in the back corner of the room. If you can't attend, the proceedings will be televised live on Channel 24, CMTV and will be shown later on tape several times before the election. Tomorrow the City Council Candidate Forum at City Hall, hosted by the Chamber of Commerce, Churm Media and the Daily Pilot will hold the feet of the candidates to the fire on live television - CMTV, Channel 24, will televise the event beginning at 6 pm - by asking some tough questions. One of the interesting elements of this forum will be the chance for each candidate, for the first time this year, to ask one question of another candidate. This is a great idea for several reasons, although I suspect it might result in some ganging up. For example, Jim Righeimer, Eric Bever and Gary Monahan are running as a de facto slate, and are being touted by another blogger here in town as the only way to "improve" our city and save us from rampant crime being perpetrated on the populace by illegal aliens. Hogwash! But, despite the constant drumbeat of denigration by a local blogger who supports the troika, incumbent councilwoman Katrina Foley poses a very real threat to this group, so it wouldn't surprise me at all to see all three of those men, when given a chance to ask a question, attack Foley. They'd better tread carefully, though. Foley, a successful lawyer, businesswoman, wife and mother, has a tremendous record of accomplishment in this city, so an organized attack on her may just backfire for those who participate. For Jim Righeimer - "As a long time political operative you failed in an attempt in your run for State Senate against Tom Harmon. You then moved a couple miles from Fountain Valley to Costa Mesa during the 2006 campaign season. You are Dana Rohrabacher's campaign manager and are joined at the hip with Scott Baugh, President of the Orange County Republican Party. You were appointed to the Planning Commission by Allan Mansoor after you lived in our city only a few months in a very clear act of political payback for Rohrabacher's support. Why should the voters in Costa Mesa believe you are not just a political opportunist, simply using our city as a safe haven - a place to roost while awaiting bigger and better political opportunities?" For Gary Monahan - "During your previous twelve years on the City Council we watched you evolve from a political neophyte simply trying to save his job to a cunning, if clumsy, politician with his finger perpetually in the air to see which way the wind was blowing. After two years on the Sanitary District Board you wish to return to the City Council, even though your performance at the first forum showed little grasp or interest in current municipal issues. 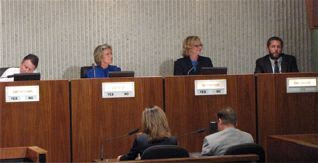 Costa Mesa voters, some of whom believe you are running for City Council again simply to further pad your pension and to become eligible for city medical benefits, want to ask you the following question: You attempted to have the issue of a directly-elected mayor - without term limits - placed on the ballot last year. If elected, will you resurrect this issue and attempt to have the City Council approve placing this subject on the ballot? If so, why? For Eric Bever - "You were elected four years ago by a thin 44 vote margin - hardly a mandate by the voters at that time. Since that time you have demonstrated a tendency to play fast and loose with the rules - many close calls with Brown Act violations, for example. Last year former mayor Monahan and your friend and benefactor, then-mayor Allan Mansoor, attempted to have the issue of directly electing the mayor placed before the voters in this city. Your position on that issue stopped that move. What is your position on that subject now?" For Katrina Foley - "Despite being the biggest vote-getter four years ago you and Linda Dixon - who received the second highest number of votes - were marginalized, both literally and figuratively, by the current majority on the City Council. You were outnumbered on many important votes. With the strong possibility that you will be the lone voice of opposition on the dais following this election, why should the voters of this city choose you instead of the troika of Righeimer, Bever and Monahan?" For Bill Sneen - "Although you and your family have been deeply involved in school issues for many years, your breadth of involvement in broader city issues has been limited. You've been spending time with many city officials, past and present, and other civic leaders since you decided to run for City Council, trying to get up to speed on the important issues facing our city. Based on what you know right now, what will be your very first short-term goal if elected next month?" For Lisa Reedy - "As a long time resident of this area with strong leadership experience as the President of your Homeowners Association and in business, you've spoken out during this campaign for more harmonious relationships among council members. If elected in November, what specific initiative will you recommend to accomplish that increased harmony?" For Chris Bunyan - "As a second-time-around candidate - who finished last in the voting two years ago - you've worked hard on city committees and other civic activities to become more conversant with important issues facing our city since then. What do you feel is the single most important issue facing our city and what, specifically, is your plan to fix it?" For Chris McEvoy - "As an educator and a young man who has spent most of his life in Costa Mesa you have attempted to be elected to City Council without spending any significant amount of money. You've hand-made your signs and stood along main streets to attract voters to your campaign. With the full knowledge that you have a slim chance of winning a seat on the dais in this election, what is the lesson you have learned that you will tell your students following this campaign?" For Nick Moss - "You've mounted basically an invisible campaign and have demonstrated only a very limited grasp of important issues in the city. You have virtually no chance in this election. What have you learned from this experience, and do you plan to be involved in civic issues in the future?" Those might be my questions... maybe they will be posed by others tomorrow night. So, don't forget. 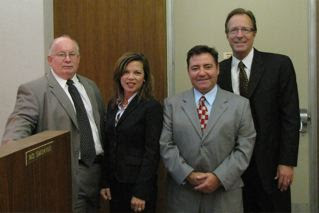 Wednesday, October 15, 2008, 6-9 pm in the City Council Chambers at City Hall, 77 Fair Drive. This event will be televised live on CMTV, Channel 24 and will also be replayed later on tape for easy viewing. OK, my arm hurts from patting my self on the back for being named Best Blog for 2008 by the OC Weekly last week, so it's time to get back to business. I've had a tough time trying to get my swollen head through doorways this weekend. Your Neighbor, the grumpy old fella who operates the CM Press, seems determined to make illegal immigration a big issue this election season. Apparently he has absolutely no shame, because he has announced with his last couple posts that he intends to provide stories of police officers allegedly murdered by illegal aliens as part of his campaign push to get his chosen three elected. He apparently thinks it's just fine to dump gasoline on this fire to enhance the chances of his chosen troika in the election in a couple weeks. Despicable! Now, you need to understand that I, too, think the death of any person is tragic. I'm a pro-cop guy - my best friend was a cop for more than three decades and I have many friends in law enforcement - so I detest any instance of a law enforcement officer losing his or her life, regardless whether the perpetrator is an illegal alien or not. His guy apparently things every ill in our society can be directly traced to the illegal aliens among us. Or, maybe it's just because he's focusing on the Latino illegal aliens - or aliens in general - that makes his presumed outrage so suspect. I've watched him in action for nearly a decade now and understand his underlying motivation. He's a racist, pure and simple, and will use any subterfuge to disenfranchise and discomfort the non-white population among us. The list of his "accomplishments" toward that end is too long to write here again. I don't think the three men he vociferously supports for City Council this year - Jim Righeimer, Gary Monahan and Eric Bever - are necessarily racists. However, history has demonstrated for us that he supports only those people for seats on the city council that he believes he can influence with his insidious rhetoric. That's a shame, since that shadow hanging over them may make actions they might take in the future suspect. There are three more City Council Candidate Forums on tap before the election on November 4th. The next one is Wednesday evening, October 15th, at City Hall in the City Council Chambers. 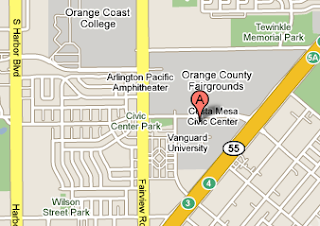 This event is hosted by the Costa Mesa Chamber of Commerce and runs from 6-9 pm. This will be televised live on CMTV and replayed on tape later. The next one is next week, on Wednesday, October 22nd at the Halecrest Community Center, 3107 Killybrooke Lane, from 6:30-9 pm. It is jointly hosted by the Halecrest/Hall of Fame Community Association and the Mesa Del Mar Homeowners Association. The final event will be held on Tuesday, October 28th at 6 pm at the Presbyterian Church of the Covenant, 2850 Fairview Road between Costa Mesa High School and The Farm Sports Complex. By the time these events have been completed every candidate will have had ample opportunity to convince you of their worthiness, or lack thereof, for office. Remember, who you hang out with and who influences you is an important consideration in any election.